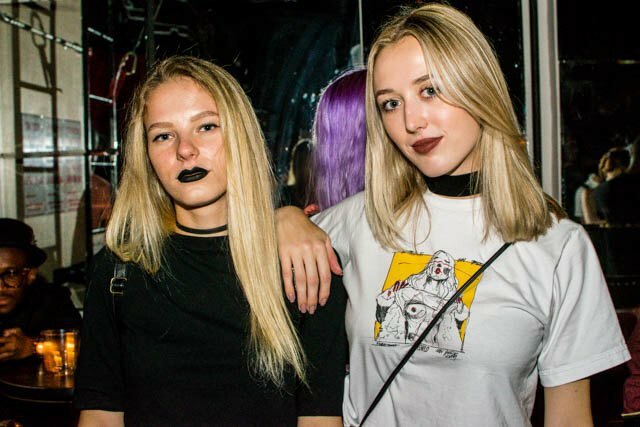 In celebration of Fashion Week, the House of Yes hosted both a pop-up shop and a sold-out label showcase for OWSLA on Thursday night with a top-secret lineup. 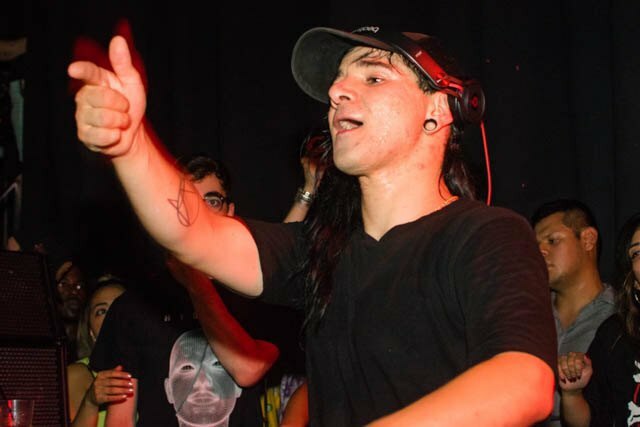 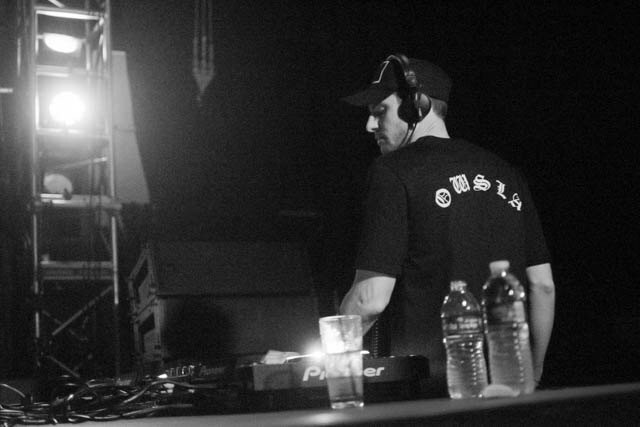 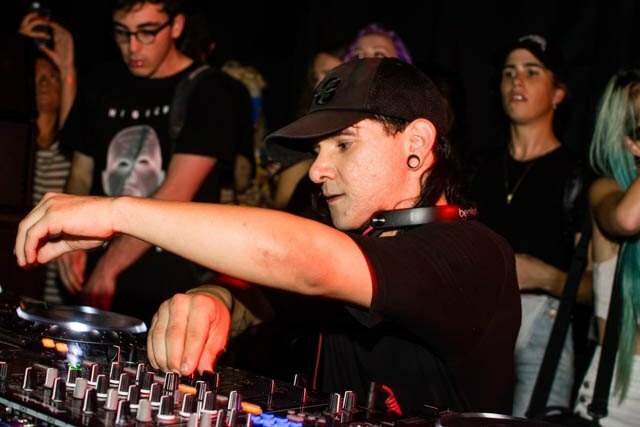 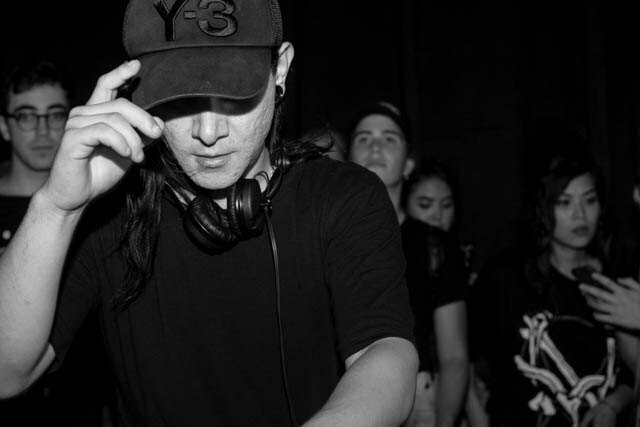 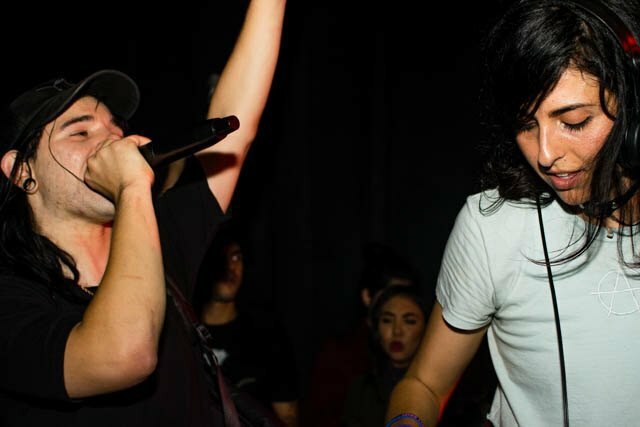 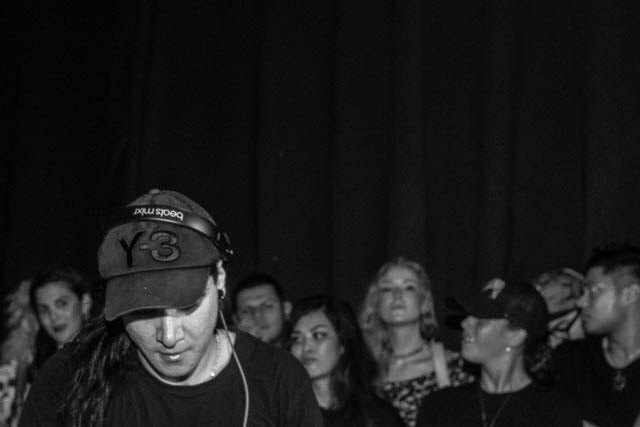 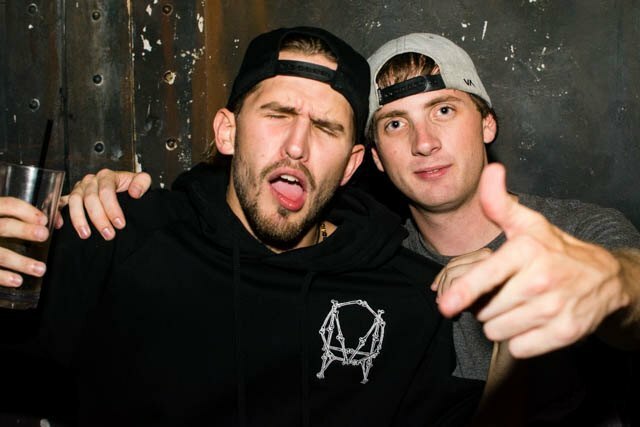 The club night featured a slew of resident OWSLA DJs, including the don himself, Skrillex. 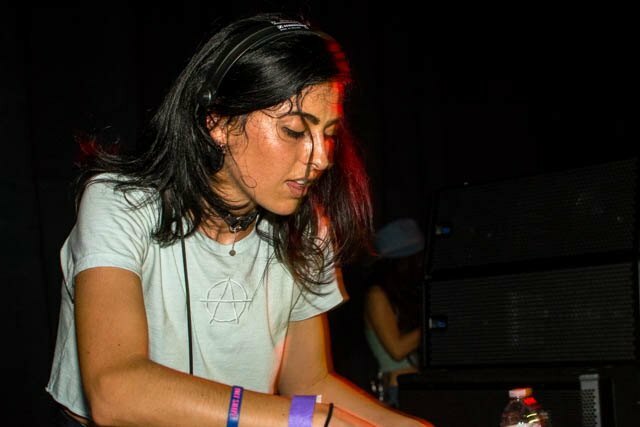 Also spinning were Vindata, Anna Lunoe, and Callie Reiff. 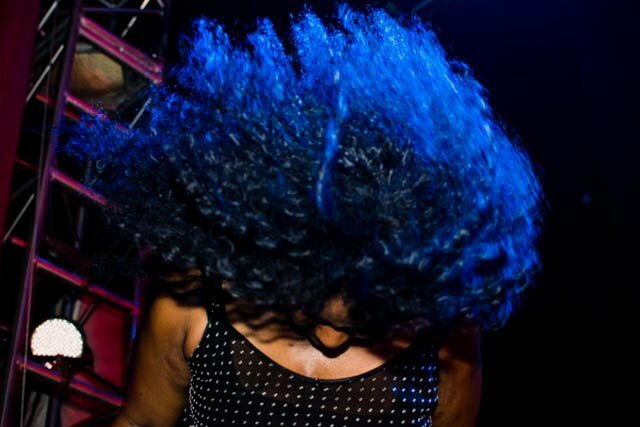 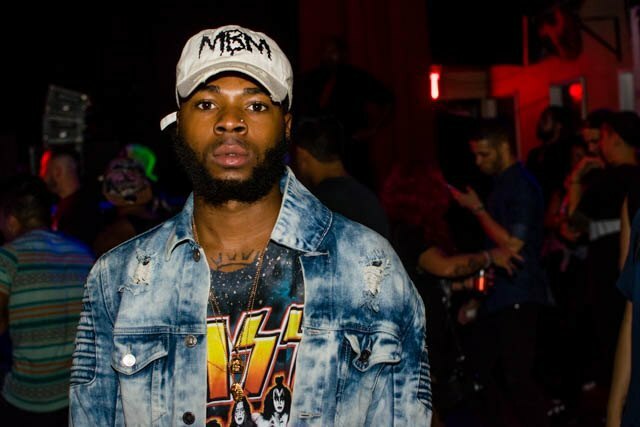 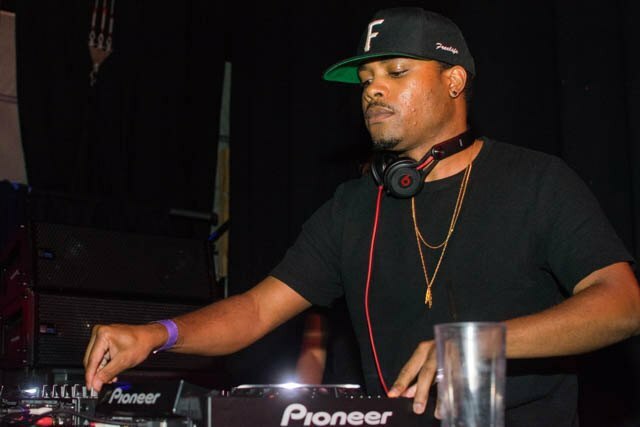 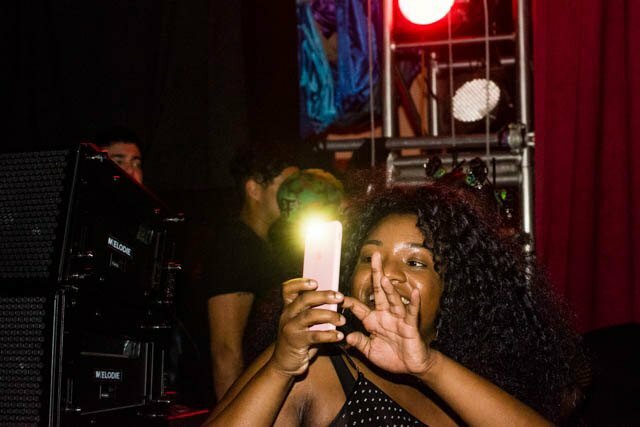 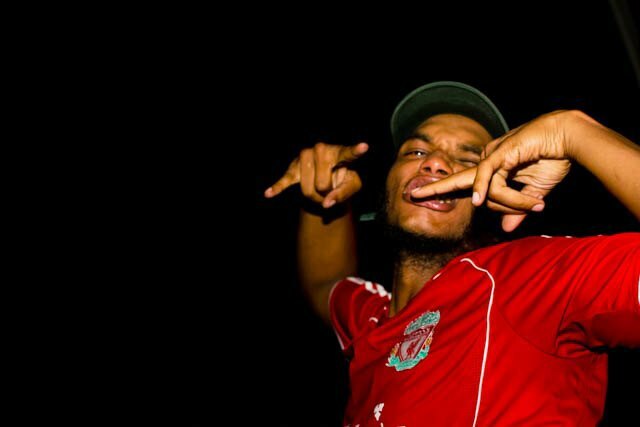 The performers brought a squad of DJ friends – Baauer, DJ Sliink, DJ Uniiqu3 (Jersey Club King and Queen, respectively) and others from the Cartel Music mob, and D.R.A.M. 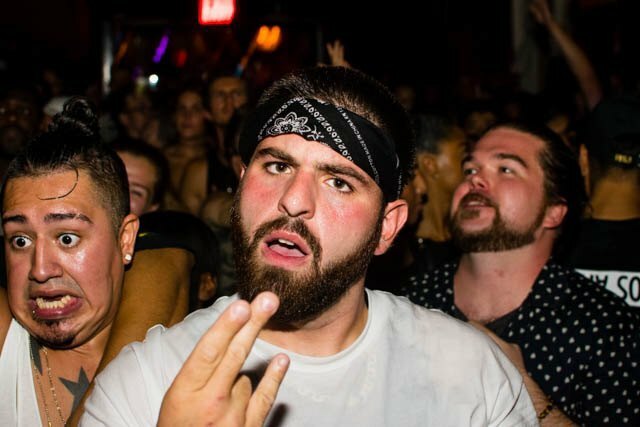 All either made appearances or were seen in the crowd getting down. 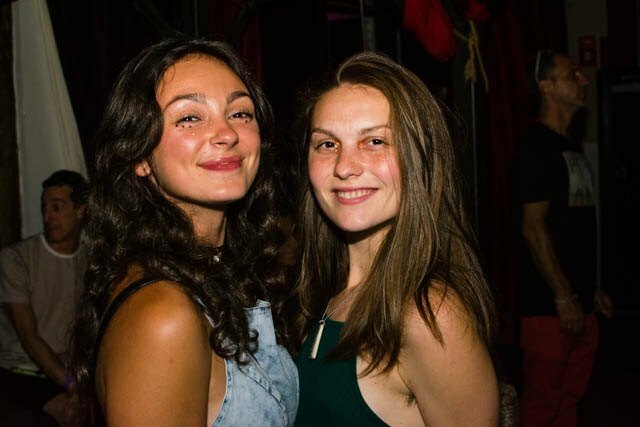 And of course, to top off the madness, what would a House of Yes party be without costumed dancers doing aerial trapeze? 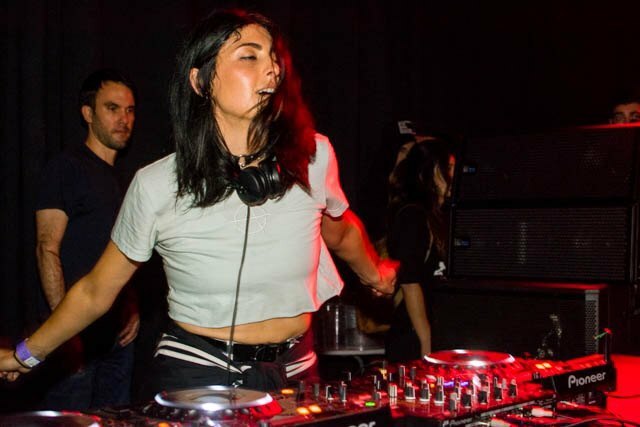 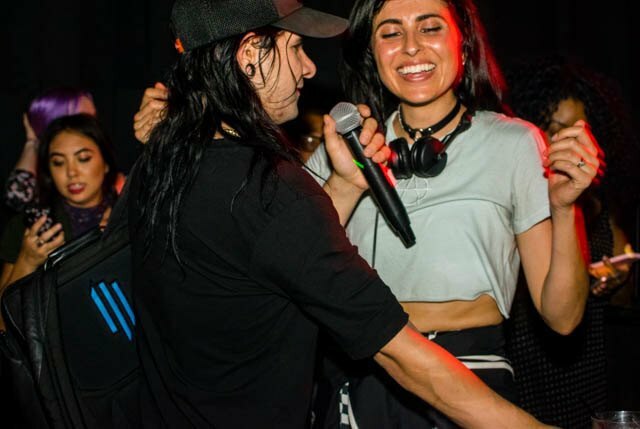 The actually-kept-secret lineup was only revealed as DJs stepped up to decks, so even though everybody *totally knew* Skrillex was gonna be there, nobody actually quite did until he greeted Aussie DJ Anna Lunoe. 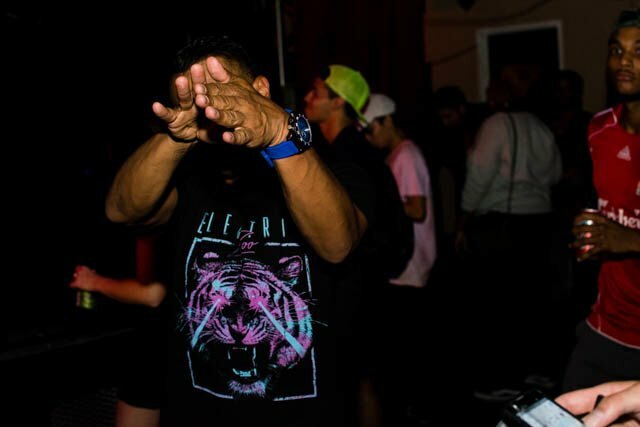 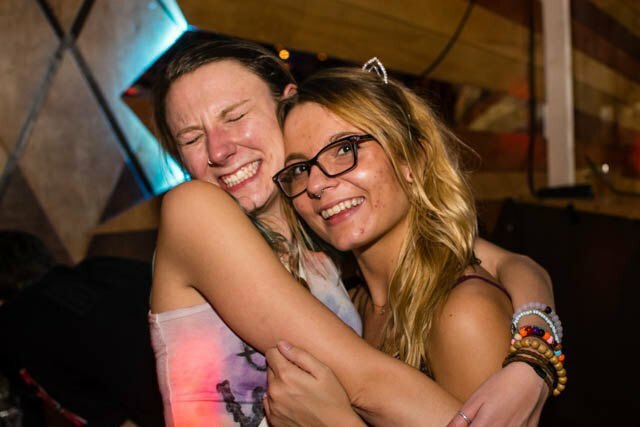 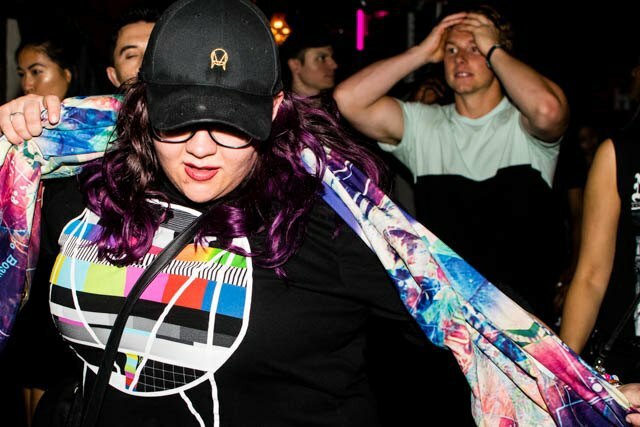 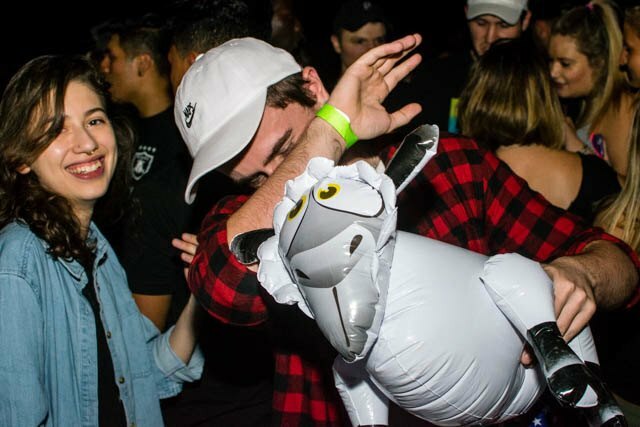 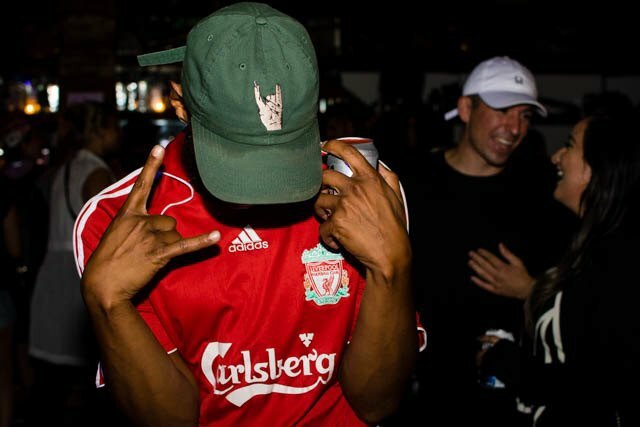 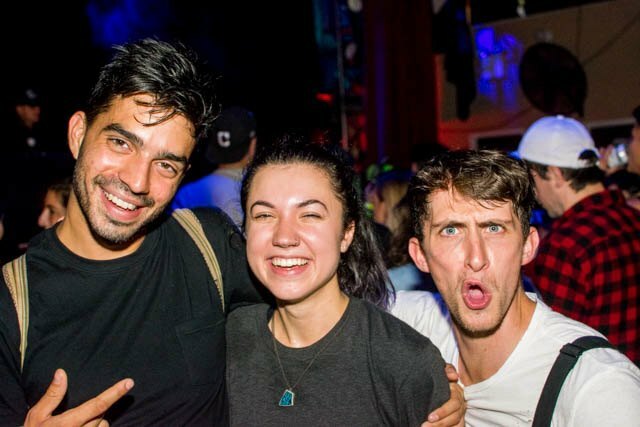 The night was a post-genre club music extravaganza filled with jersey club, bounce, trap, dubstep, deep house, and every possible sub-genre nook and cranny between all of them. 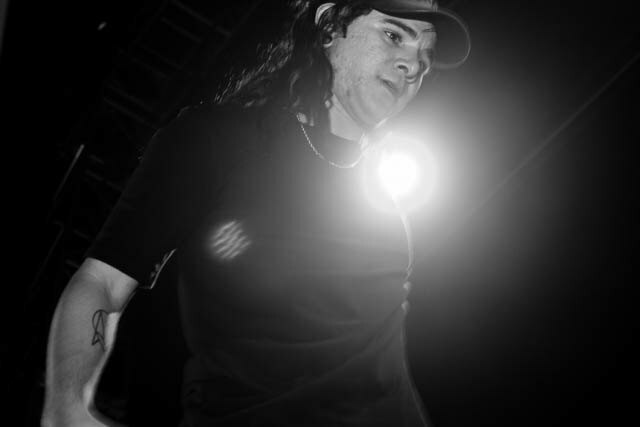 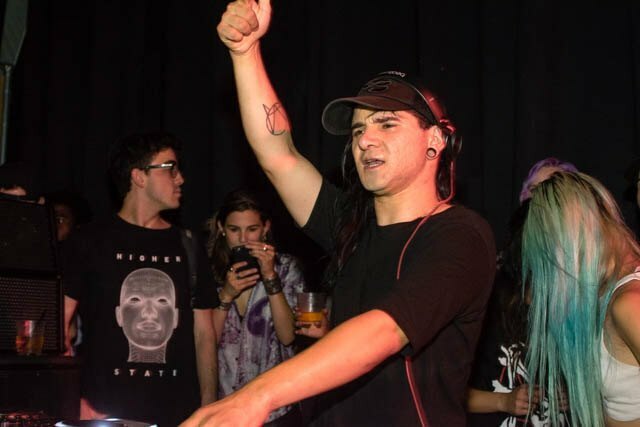 True heads were gifted with some old school gold: tracks from Skream, Doctor P, and Rusko were in multiple sets, and Skrillex offered up choice remixes of his earliest tracks. 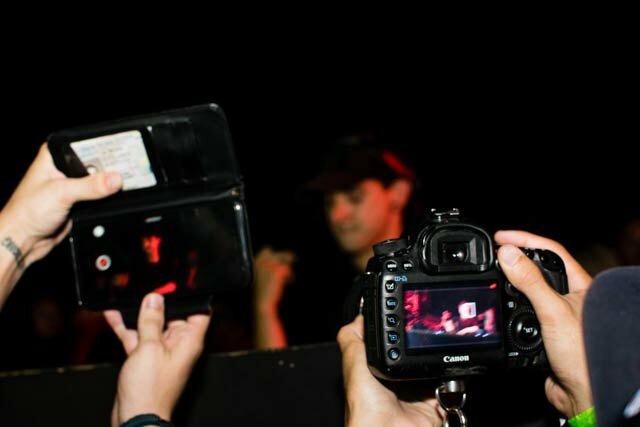 The place was packed to the brim with a rowdy, sweaty, impassable crowd, forcing this photographer to duck out early to take care of some drink spillage on his camera. 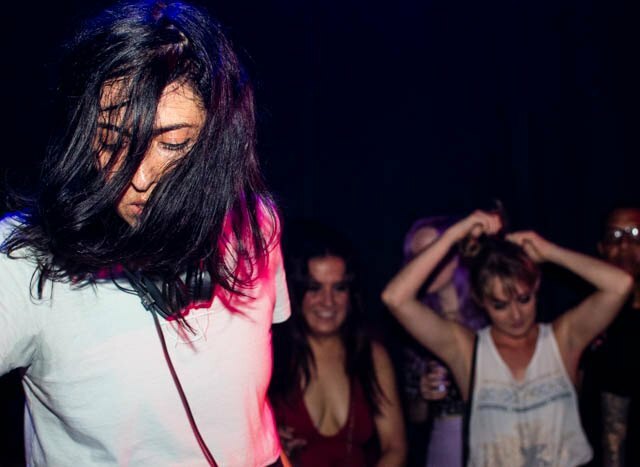 If only every fashion week party was like this.